1. What is a meter deposit? It is an amount previously required from customers during application for a new service connection to guarantee against loss or damage of the electrical meter installed. The deposit was equivalent to one-half of the cost of the electric meter and its accessories. This is different from the Service or Bill Deposit which is paid as part of a customer’s application for service to guarantee payment of bills, and is equivalent to one month billing based on the customer’s electrical load. The collection of Meter Deposits began in 1987, following Order 85-121 and Resolution 95-21 of the then Board of Energy (BOE) and then Energy Regulatory Board (ERB), respectively, now Energy Regulatory Commission (ERC). This is different from the service or bill deposit, which is the amount required from customers, as part of their application for service, to guarantee payment of bills. The said deposit is equivalent to the customer’s estimated billing for one (1) month. 2. Is Meralco still collecting the meter deposit? Meralco stopped collecting meter deposits from residential customers in July 2004 with the advent of the Magna Carta for Residential Electricity Consumers. Since April 2006, Meralco stopped requiring meter deposits from non-residential customers as well after the promulgation of the Distribution Services and Open Access Rules (DSOAR). 3. Why is Meralco returning the customer's meter deposit? On June 4, 2008, the Energy Regulatory Commission (ERC) released the Rules on MDR for all DUs in the Philippines which became effective on July 5. Under these guidelines, the MDR should begin within six months after its effectivity which means not later than January 2009. Meralco is operating under the guidelines and rules set forth by the Electric Power Industry Reform Act (EPIRA), a law that became effective on June 26, 2001. The law, which paves the way for the restructuring and deregulation of the power industry, balances the interest of both Distribution Utilities and the consuming public. 4. How much is the refund? The MDR consists of the principal amount paid by the customer, plus interest earned. Computation of the interest varies depending on the type of customer and the date when the meter deposit was paid by the customer to the DU. 5. Who are eligible/covered by the Meter Deposit Refund (MDR)? 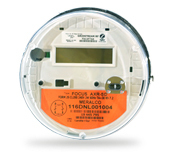 Only terminated accounts of customers who paid for a meter deposit from 1987 to July 2004 for residential customers, and from 1987 to April 2006 for non-residential customers, are covered by this phase of Meter Deposit Refund. This is because existing and active service contracts were already covered starting November 2008 after ERC Resolution No. 8 Series of 2008 or the “Rules to Govern the Refund of Meter Deposits to Residential and Non-Residential Customers” took effect. This was followed by MERALCO's automatic crediting or offsetting of the remaining unclaimed MDR, including all accrued interests, to the corresponding existing and active service contracts for which it was posted, in May 2014, pursuant to ERC’s letter dated January 20, 2004. As such, all remaining unclaimed MDR as of now are only for terminated services. 6. Up to when can eligible customers claim their refund? As per ERC Resolution No. 12, Series of 2016, or the Amended Rules to Govern the Refund of Meter Deposits to Residential and Non-Residential Consumers, eligible customers are given until December 31, 2017 to claim their MDR. Thereafter, all unclaimed Meter Deposits, including accrued interest, shall become the subject of an escheat proceeding. The State, through the Office of the Solicitor General (OSG), shall initiate escheat proceedings in the Regional Trial Court (RTC) where the bank is located, and thereafter, declare the unclaimed Meter Deposit, after due notice and hearing, escheated in favor of the State. 7. How can customers apply for it? A Residential Customer or a General Service customer, go to the nearest MERALCO Business Center. A Small Commercial, Industrial or General Power customer, go to the nearest Business Center or Corporate Business Group-Technical Support Office. 8. Will an eligible customer be receiving his/her Meter Deposit Refund in cash or in check? Eligible Customers will be receiving the refund in cash, if the refund amount is less or equal to PhP5,000.00, and via check payment, if the refund amount is greater than PhP5,000.00. Yes. As per BIR Revenue Regulation No. 2-2009, MD Interest is subject 10% CWT. 10. Which services are taxable? 11. What should eligible MERALCO customers do to claim MDR and where can it be claimed? II. Fill out Meter Deposit Refund Application Form. The Refund Application Form can be downloaded below and is also be available at the Business Center. a. For Individual Claimants: One (1) Valid Primary ID with photo and signature or Two (2) Valid Secondary IDs with photo and signature. Photocopies of the IDs are needed as well. The acceptable Primary IDs are as follows: Driver’s License, Passport, PRC License, SSS ID, GSIS ID, TIN ID, Philhealth ID, Senior Citizen ID, Postal ID, Original NBI Clearance (Computerized Print-out), Police Clearance (Computerized Print-out), New Comelec Voter’s ID (Scanned and Printed on Comelec’s Security Paper), Unified Multi-Purpose ID (UMID), Integrated Bar of the Philippines (IBP) ID. b. For non-individual claimants, you will need to submit proof of entitlement to said refund. For further details and a more detailed list of additional identification documents, please get in touch with the nearest Business Center, or Corporate Business Group-Technical Support Office. Tax Identification Documents: Taxpayer’s Identification Number (TIN) ID with photo and signature for individual claimants; and Bureau of Internal Revenue (BIR) Certificate of Registration for non-individual claimants. If the claimant is not the Registered Customer, he/she should bring a Special Power of Attorney from the Registered Customer authorizing the claimant to claim the MDR, together with a valid ID of both the Registered Customer and the claimant. 12. If the accountholder (registered customer) is already deceased, who can claim the refund in his/her behalf? The refund may be claimed by the legal heir/s or successor/s-in-interest of the deceased-account holder, subject to compliance with the requirements under the MDR Rules, in ERC Resolution No. 08, Series of 2008. 13. What if the account has already been transferred? The amount of meter deposit may still be refunded by the Registered Customer, as the rightful owner/claimant of the meter deposit, subject to compliance with the requirements under the MDR Rules. 14. What if an eligible customer lost his/her original Official Meter Deposit receipt or the Original Contract for Electric Service? If the refund amount is P100,000.00 or more, the claimant must present an original copy of the Affidavit of Publication of the fact of loss, in addition to the other documentary requirements previously mentioned. 15. What will happen with the unclaimed Meter Deposit Refund by December 31, 2017?